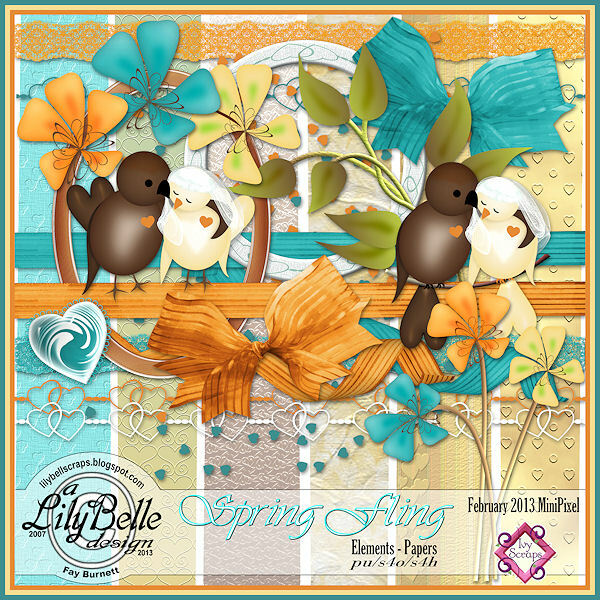 I have a new minikit in the MiniPixel boutique at Ivy Scraps. It’s not really a Valentine kit nor is it totally a spring kit. I guess that here in my real world with dull cold days, I’m longing for the freshness and light that spring brings. There are 26 elements, 6 papers, and 5 clusters available in the store. Of course, there are freebies as well. Check the previews below to find out where you can pick up the freebies along with the kit.